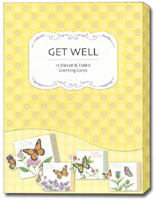 More Info: This collection of get well cards features butterfly illustrations in a petite diecut design. Each design is enhanced using either pink, purple, green, or silver foil for the text on the cover of the card. 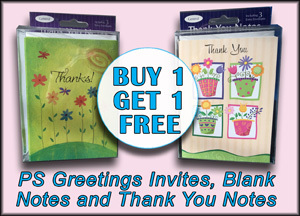 Contains 3 each of 4 different designs (12 greeting cards) and 12 white envelopes. Each of the cards are printed on heavy card stock. All cards measure 3.5 x 4.75 inches. All of the cards are individually priced at $3.00 each. 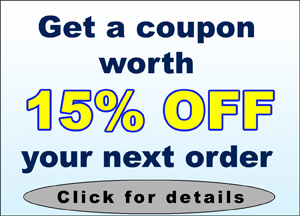 More Info: Unique die cut corners create a wonderful curved design on each of the get well cards in this 12 card assortment. Featuring photographs of relaxing places like a sitting room, hammock and adirondack chair, these cards are a perfect reminder to relax and restore. The collection includes 3 each of 4 designs along with 12 white envelopes. 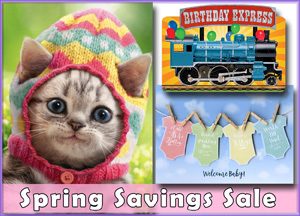 Each card is individually priced at $2.75. 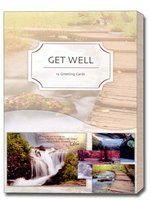 More Info: Beautiful photos of waterfalls and streams are used to wonderful effect in this set of 12 Get Well cards from Studio Q. 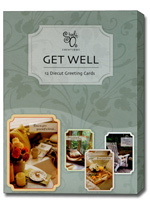 A full-color coordinating interior design and message of healing can be found on each of the cards. 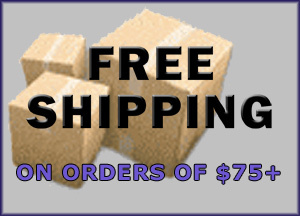 Each card is printed on heavy card stock and measures 4.5x6.5 inches. 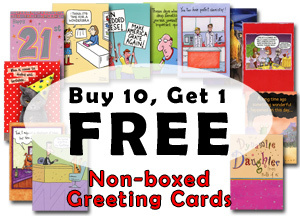 The assortment includes 12 cards (3 each of 4 designs) and 12 white envelopes. Box size: 7 5/8 x 5 1/2 x 1 3/8 inches.